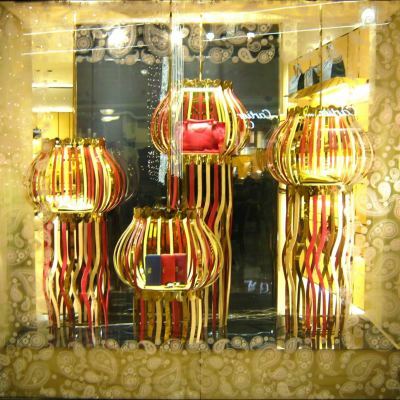 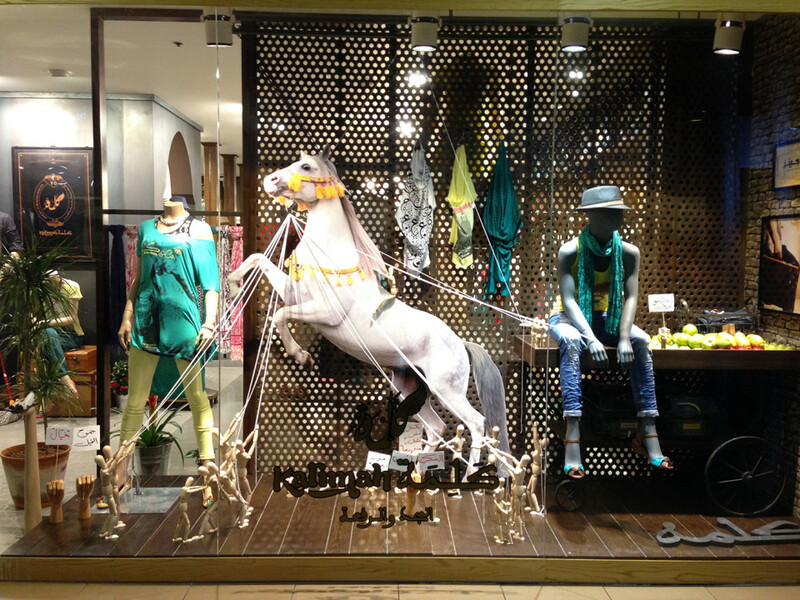 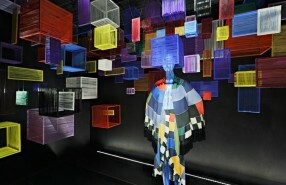 The visual merchandising team of the Saudi Arabian clothing brand Kalimah created window displays with the theme ‘Arabian Desert’. 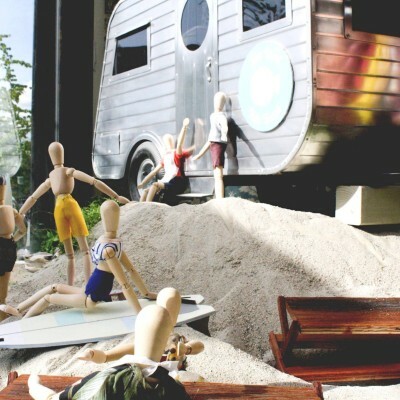 The windows displaying the Arabian old culture desert life, using hard board paper, robe and wooden dolls. 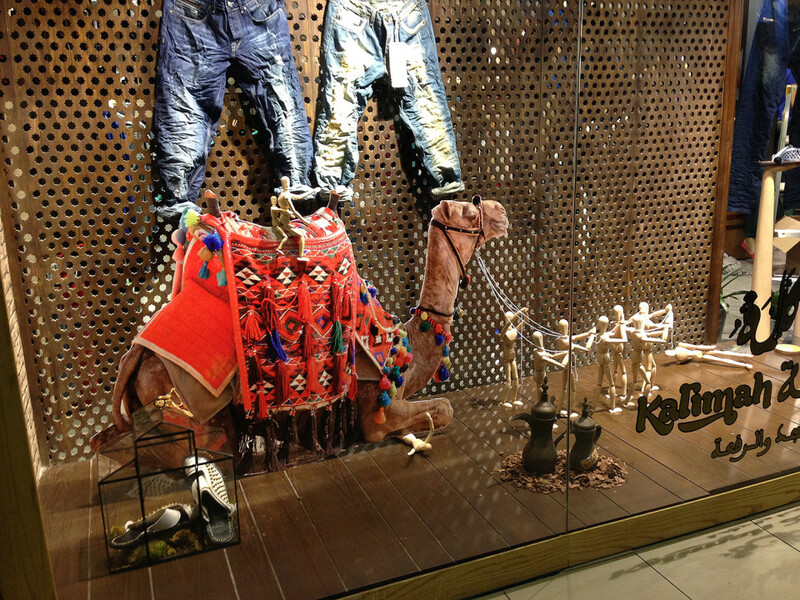 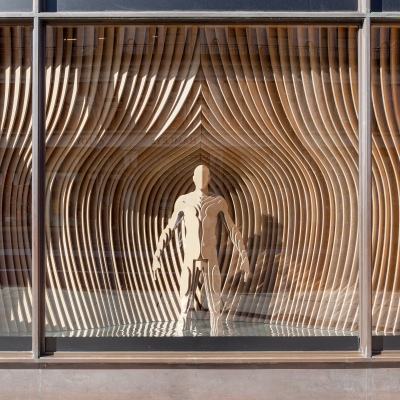 This window display is focused on the male target group, where the wooden dolls making the camel to stand up. 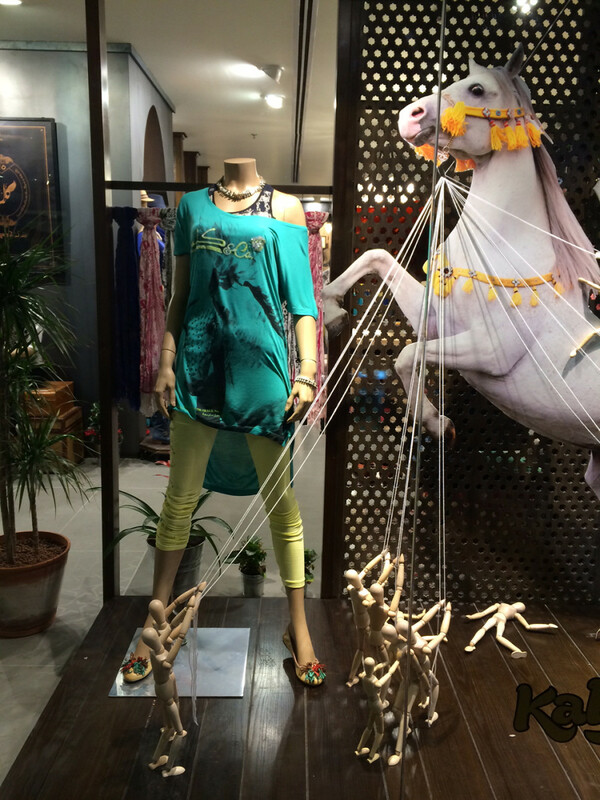 This window display is focused on the female target group, where the wooden dolls are taming the horse.